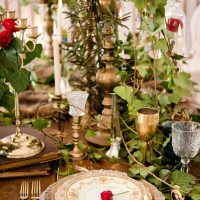 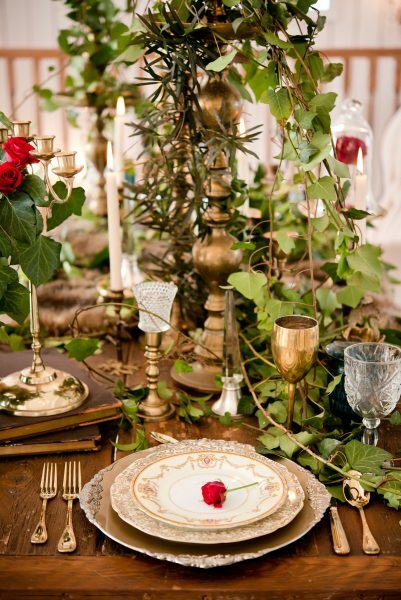 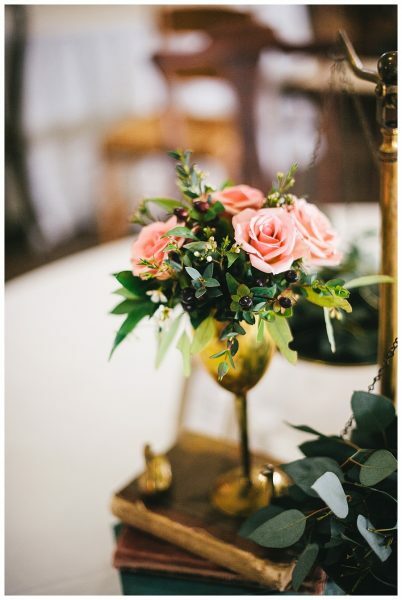 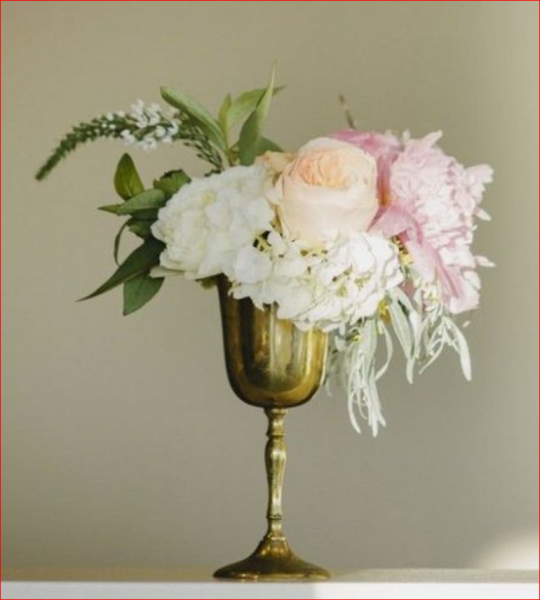 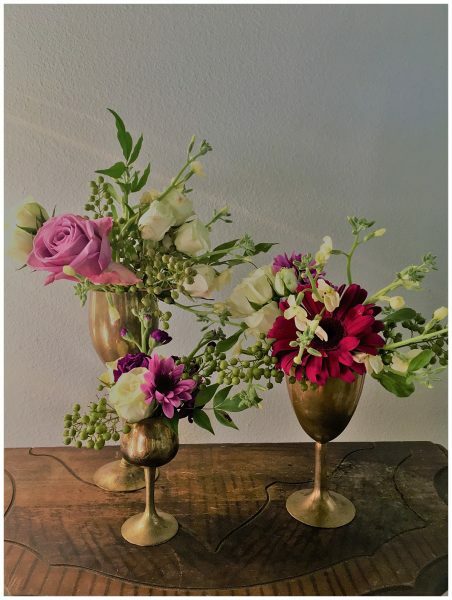 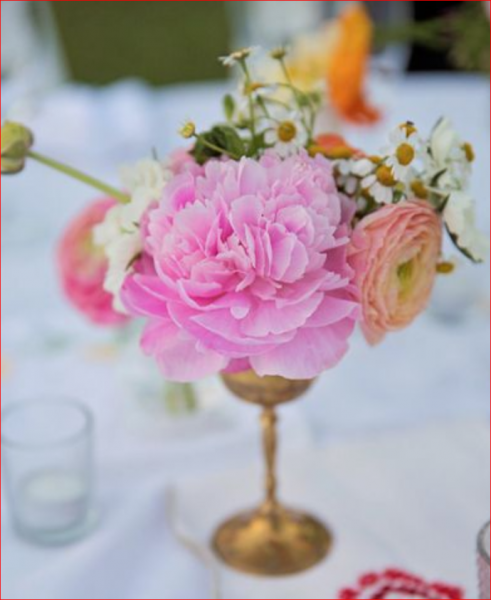 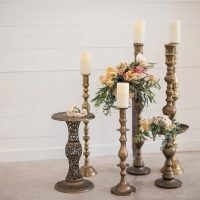 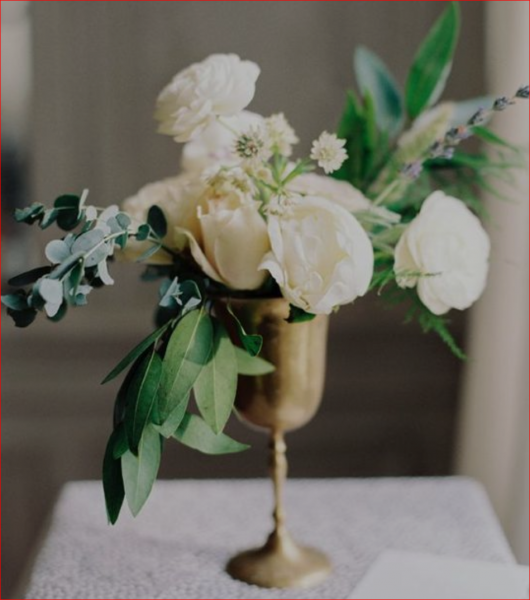 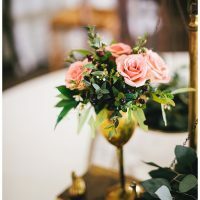 Vintage brass goblets are a unique twist and interesting when used for your floral centerpieces. 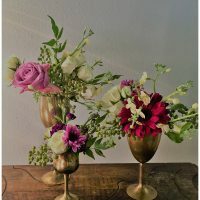 What a unique twist on a classic flower arrangement! 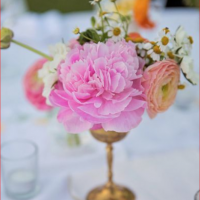 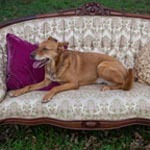 Why not make a statement in addition to being “easy on the budget” when designing your reception or party centerpieces. 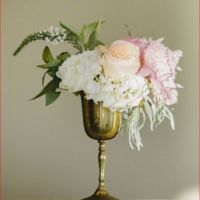 Each brass goblet is unique and rich with patina. 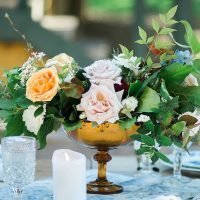 Fun, romantic, different, and retro!